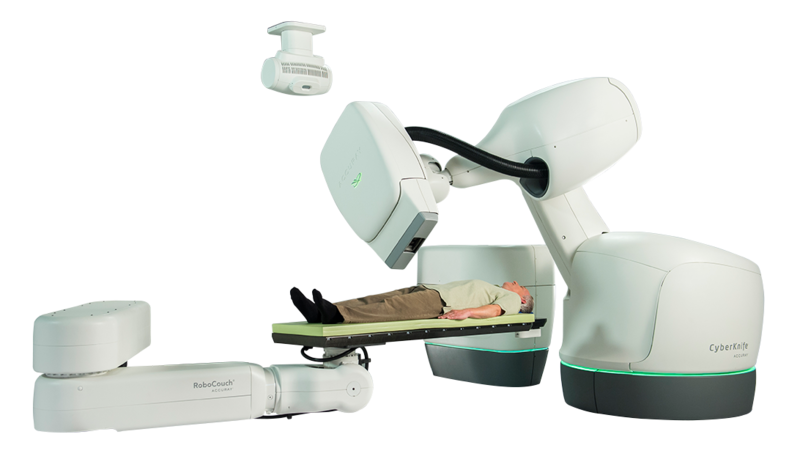 Building on its heritage of patient-first innovation, at this year's ASTRO (American Society for Radiation Oncology) Annual Meeting, Accuray Incorporated will showcase radiation therapy solutions designed to enable clinicians to deliver truly personalized cancer treatments aligned to the needs of each patient. Meeting attendees can visit Accuray at booth #2511 on October 21 - 23, 2018 in San Antonio, Texas to learn how advances in Accuray radiation therapy delivery systems and software are making it easier and faster to provide extremely precise results for the full range of cancer cases, from initial treatment to adaptive therapy to retreatments. "We are proud to have the opportunity to attend this important meeting and provide access to information, demonstrations and educational opportunities for learning about advances in Accuray technologies. We are committed to partnering with the radiation oncology community to develop innovative products that will improve patient care, now and into the future," said Lionel Hadjadjeba, M.D., Senior Vice President, and Chief Commercial Officer at Accuray. CTrue™ IR (Iterative Reconstruction) for the Radixact® System: This powerful IR software improves soft-tissue contrast and reduces noise, enhancing image quality, while maintaining the same low imaging dose and fast reconstruction time as earlier versions of the software. These enhancements enable clinicians to efficiently deliver precise treatments more quickly, for more patients. Accuray will host two educational symposia and a broad range of Accuray Exchange in Radiation Oncology (AERO™) Academy sessions. ASTRO meeting attendees will have the chance to learn from industry experts about clinical advances and best practices that have the potential to improve cancer patients' outcomes and quality of life. Click here for more information or to register for the symposia. Sunday, October 21st from 12:15p.m. - 1:15p.m. Monday, October 22nd from 12:30p.m. - 1:30p.m. Attendees at this year's ASTRO meeting will have the opportunity to participate in interactive discussions with clinical experts on the use of Accuray technologies during daily presentations at Accuray booth #2511. Topics include building a CyberKnife® prostate SBRT practice; benefits of TomoDirect™ for breast cancer; interactive planning on the CyberKnife System with the new VOLO™ Optimizer; demonstration of PreciseRTX™ Retreatment Option; and plan adaptation with improved MVCT on the Radixact® System. Throughout the ASTRO meeting attendees will have the opportunity to view viRTual-Where Art Meets Science, an immersive virtual reality experience that provides an opportunity to see how Accuray patient-first innovations are transforming what is possible for cancer patients around the world. ASTRO '18: Accuray showcases RT innovations that extend possibilities for patients. Appl Rad Oncol.